An EU decision on the future of glyphosate has been postponed again because too few member states were willing to back a 10-year renewal of the chemical’s licence. The first vote fell short of the majority needed, with Germany and Portugal abstaining and France voting against. 16 countries voted in favour of renewal, including the UK. Because there was not enough support for a 10-year licence, the European Commission sought views on whether a shorter licence period – thought to be 3-7 years – would pass. The vote was delayed again, likely to November, when it became clear this proposal would not reach a majority either. Crop Protection Association chief executive Sarah Mukherjee said: “It is disappointing that some Member States are continuing to ignore the science, risking the livelihoods of European farmers and the continued availability of safe, healthy, affordable food for consumers. “Independent, expert regulators, around the world all agree that glyphosate is safe. These regulators are public servants who rightly take their duty to protect public health very seriously. “Yet politicians are ignoring them, and are doing so for no good reason, other than a misguided, ideological opposition to modern agriculture. But European Commissioner Vytenis Andriukaitis, who is responsible for food safety, told reporters in July glyphosate’s licence would not be approved without sufficient support from nation states – leaving the chemical’s future in doubt. The news of a fresh delay follows a vote yesterday by the European Parliament to ban glyphosate by December 15 2020. Under the plans, a complete ban on household use would come first, with a ban on farming use later. 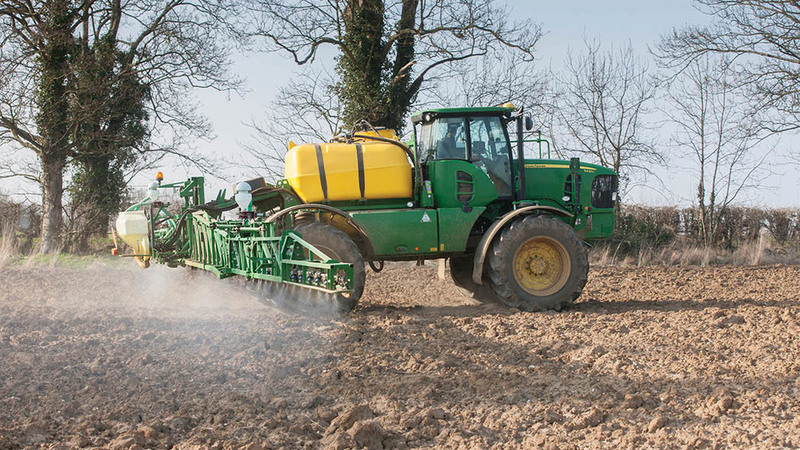 Guy Smith, vice president of the NFU, said: “We are disappointed that member states failed to reauthorise glyphosate for ten years today, as the Commission had proposed, although we welcome the fact the UK continues to support the full reauthorisation of glyphosate. “All eyes are now on the next meeting of this committee where they are likely to debate a shorter reauthorisation period. “The overwhelming weight of science and evidence shows that glyphosate is perfectly safe when used correctly. This has been the conclusion reached by regulatory bodies around the world, including the EU’s two leading regulatory bodies – the European Food Safety Authority (EFSA) and the European Chemicals Agency (ECHA). “The continued politicisation of this decision damages the credibility of the EU’s regulatory bodies and undermines the regulatory process. It also has huge implications for farming in the UK and across Europe. “Glyphosate reduces the need to use other herbicides, it helps to protect soil and cut greenhouse gas emissions by reducing the need for ploughing, and it enables farmers in this country to grow crops that help produce safe, affordable, high quality British food. The UK’s leading technical and knowledge exchange event for the arable farming industry. Wednesday 29th & Thursday 30th November, 2017 at the East of England Showground, Peterborough.